Over seven sessions this Leader's Handbook to the Life Explored course will help you guide people in life-changing ways. Life Explored will help people uncover what they're really living for, and shows how, in Christ, God meets our deepest desire for happiness. Each session explores an aspect of God's character. We see that the God of the Bible is good, trustworthy, generous, liberating, fulfilling, life-giving and joyful. And ultimately we see that the greatest pleasure in life is not enjoying the gifts he has given, but enjoying God himself. 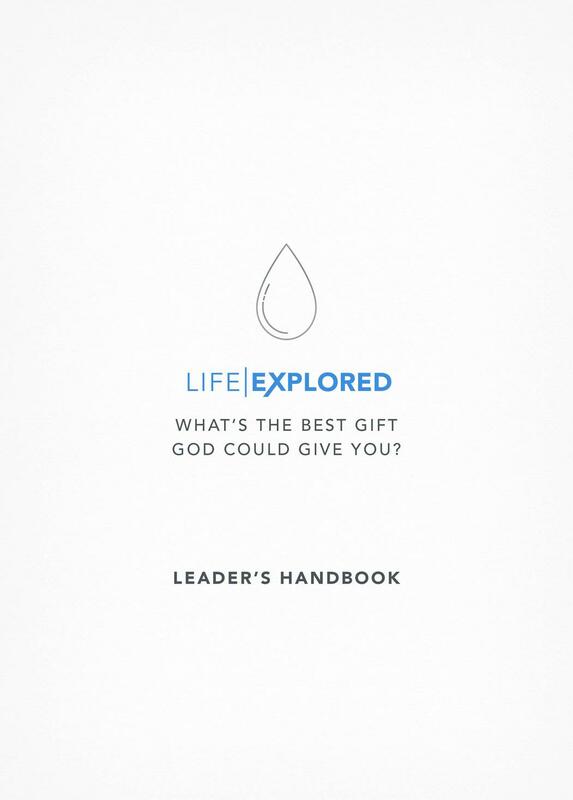 Life Explored Leader's Handbook by Barry Cooper, Nate Morgan Locke was published by The Good Book Company in September 2016 and is our 26885th best seller. The ISBN for Life Explored Leader's Handbook is 9781784980832. Be the first to review Life Explored Leader's Handbook! Got a question? No problem! Just click here to ask us about Life Explored Leader's Handbook. "Life Explored starts with the longings and fears of modern people to accentuate the contemporary relevance of the gospel. Each sessions begins with a beautifully-filmed story with amazing production values. These stories create the opportunity to demonstrate how the gospel powerfully fulfils our hopes and heals our wounds. It shows how the Bible story is our story. It adds up to a compelling presentation of the glorious, liberating news of God's love to us in Christ. There's no fudging the issues of sin, shame and judgement. But they're connected to our experiences of frustration and disappointment. As a result the good news of God's love shines bright and clear. By engaging our imaginations, Life Explored appeals not only to intellect, but also to our longings, hopes, frustrations and fears. The seven sessions walk people through the key moments in the Bible story - creation, fall, Abraham, exodus, Jesus, cross and resurrection, and the new creation. But each session works as a stand alone study so it doesn't matter if people miss a session - plus Life Explored can be re-purposed for one-off events. The French philosopher Blaise Pascal once said that we need to make people wish the gospel was true before they'll consider whether it is true. This is precisely what Life Explored does. It'll make many people wish Christianity is true, creating the space for them to consider whether it is true." "These amazing, high quality films provide us with a wonderful new resource to help make Jesus known. They provoke an exploration into the 'one thing' that makes sense of life as we know it." "Life Explored is a wonderful way to explore the biggest issues we face in life, and the greatest gift that lies at the very heart of the Christian faith. Jesus Christ offers life to the full, and this series will help you see how."